I,Trimbakeshwar Shiva Temple am the holy temple of Maharashtra. I am situated in Trimbak city of Nashik district where river Godavari flows. I am about 28 kms away from Nashik. It is believed that Lord Brahmadev worshipped me with the holy water of Ganges, to receive blessings so that river Ganges could flow through Lord Shiva’s head. My jyotirlinga is very popular and considered sacred. I am on the top of Neel Mountain. I am completely built as per vaastu shastra. I have a population of about 9,804, 52 % of my population is males and the remaining 48% are females. Infant and kids below 6 years is below 6%. Male literacy is higher than the female literacy rate. Trimbak city is dedicated to Lord Shiva. I, Trimbakeshwar Temple am at the foothills of beautiful mountains. I am surrounded by amazing scenic beauty. I have lot of greenery around due to forests on the mountains. Trimbak town is popular for owning a big blue diamond called Neel Mani. It was a beautiful crystal which was later roped by a British. I am popular for many holy reasons. I have river Godavari, Lord Shiva’s sacred temple and I also have trees of rudraksh from which a sacred garland is made to be worn by Lord Shiva. 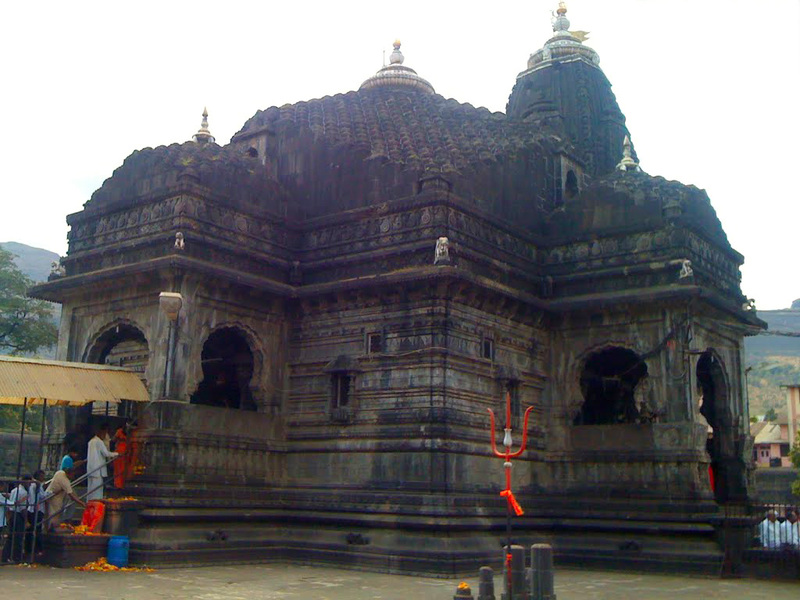 I, Tryambakeshwar Jyotirlinga, is popular for many unique Hindu rituals which are performed only on my land. For instance, Nagbali Puja is performed only in my temple. This puja is to bless a childless couple, cure financial setbacks or to bring happiness in life.